These deliciously light Layered Jell-O Margarita Bites are perfect for your next adult party. They cool you down during the hot summer but have a little kick that other desserts don’t. There’s nothing more refreshing than the taste of lime with whipped topping. In a small sauce pan, bring 1 cup water to a boil with the zest of one lime. In a small bowl combine the boiling water with 1 pkg. 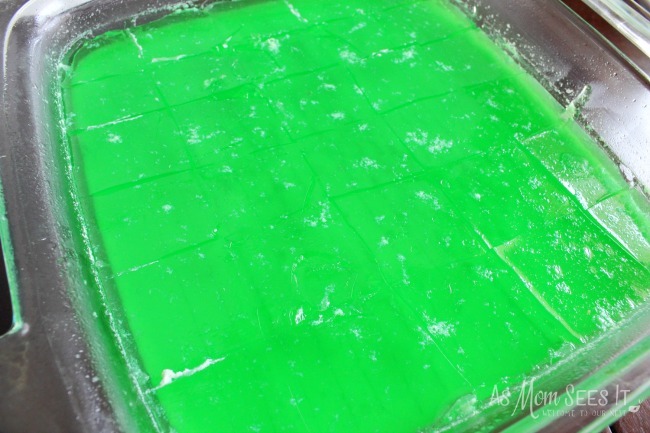 of Lime Jell-O, stir until dissolved. Stir in ¾ cup cold water and the juice of one lime. Let the mixture cool for 5 minutes. Stir in 2 cups of whipped dessert topping. Pour the mixture into a lightly sprayed 8×8 inch pan. Refrigerate until set, at least an hour. In a small sauce pan bring 1 cup water to a boil. 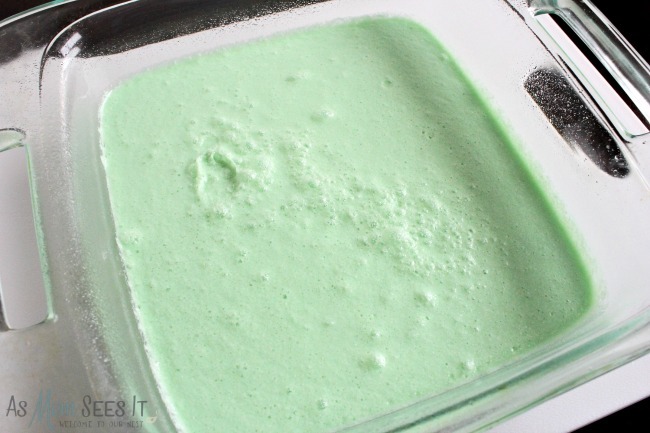 In a small bowl combine the boiling water with 1 package of Lime Jell-O. Stir until dissolved. Stir in ¼ cup cold water, the juice of one lime and ½ cup cold Tequila (I put mine in the freezer). Remove the set gelatin from the fridge and lightly score across the top with a knife about ½ inch apart and 1/8 inch deep. Pour the liquid Jell-O mixture over the set Jell-O. Refrigerate until set. Remove from fridge and cut into squares, cut slowly to avoid tearing. Invert onto a serving platter or cutting board. Serve on a plate or place into muffin liners for easy serving. 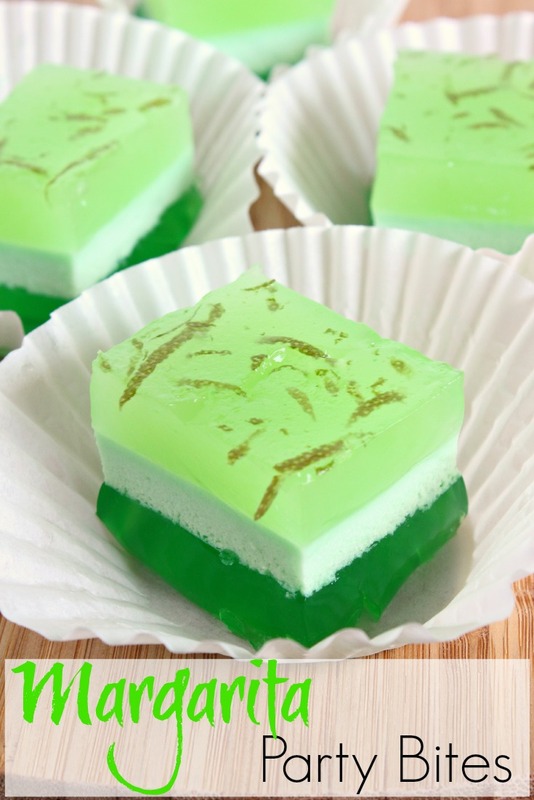 A deliciously fresh (and lightly alcohol filled) dessert perfect for summer parties. In a small sauce pan bring 1 cup water to a boil with the zest of one lime. 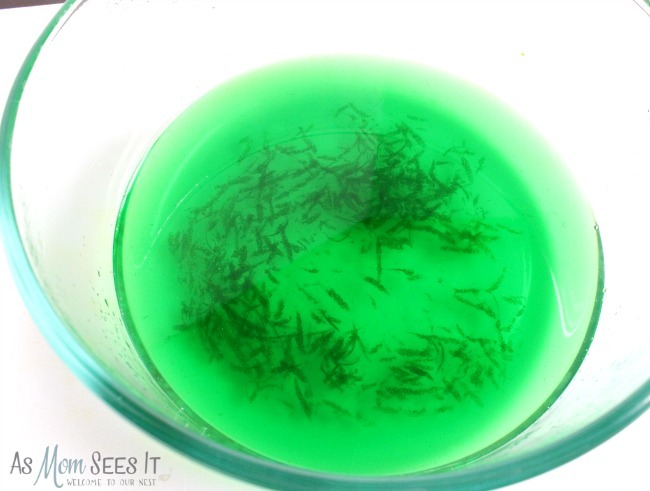 In a small bowl combine the boiling water with 1 package of Lime Jell-O, stir until dissolved. Stir in ¾ cup cold water and the juice of one lime. Let the mixture cool for 5 minutes. Stir in the whipped topping. Pour the mixture into a lightly sprayed 8x8 inch pan. Refrigerate until set, at least an hour. Stir in ¼ cup cold water, the juice of one lime and ½ cup cold Tequila (I put mine in the freezer). 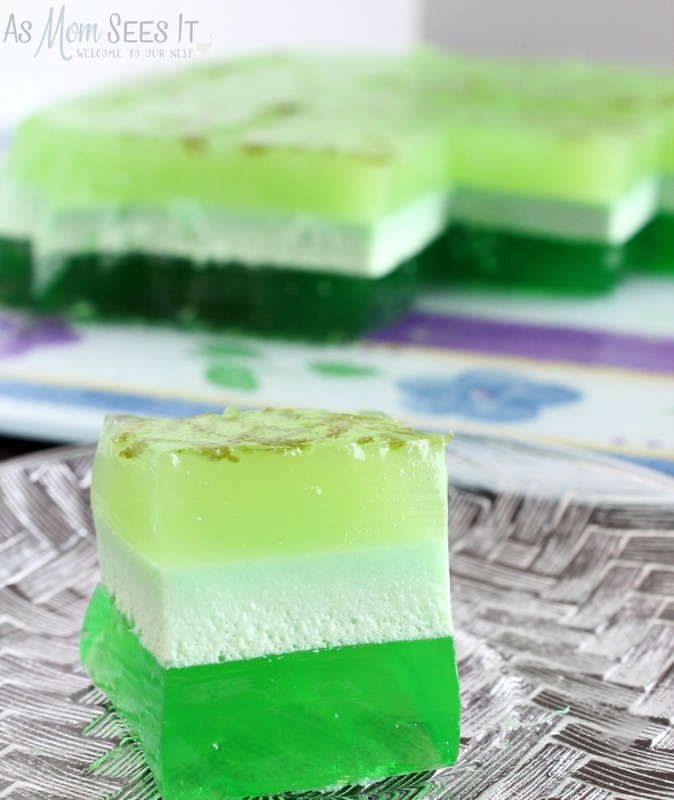 Remove the set Jell-O from the fridge and lightly score across the top with a knife about ½ inch apart and 1/8 inch deep. Pour the liquid Jell-O mixture over the set Jell-O. Remove from fridge and cut into squares, cut slowly to avoid tearing. Invert onto a serving platter or cutting board. Serve on a plate or place into muffin liners for easy serving.